Born to a drunken, prostitute mother, Diana didn't have the best start in life. 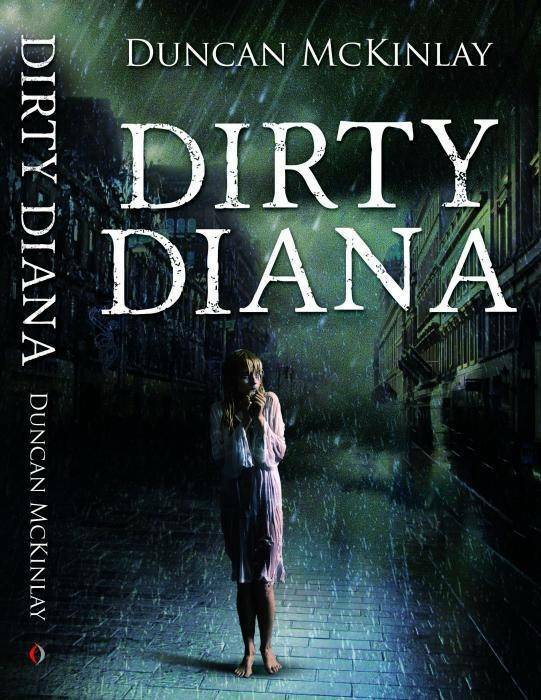 She is abused from a young age by the men her mother takes up with, one of whom gives her the name Dirty Diana. Duncan McKinlay was born in Scotland and brought up in Neilson, Renfrewshire. He met his wife, Linda, whom he married in 1971. In 1975, they emigrated to Benoni in Johannesburg, South Africa. They have one child, Melanie Jane, and she has given them a grandson, John-Duncan. Duncan and Linda now reside in Cape Town, South Africa. Befriended by good people, Diana is able to take up martial arts, at which she becomes a master. Her new skills not only enable her to take revenge on the men that abused her but lead her to becoming a hired assassin – a job in which she excels. Diana may play dirty, but to the good guys she has a heart of gold.